Sometimes, you just want to indulge in tasty foods after an accomplishment or special occasion, but some people in China are hiring proxies from Alibaba’s Taobao service to do it for them. 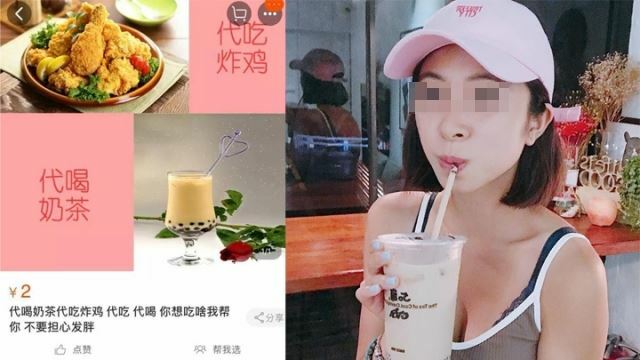 That’s right, instead of listing a product, their listing requests buyers to provide video evidence of them eating or drinking the said treats before receiving 2 yuan ($0.30) – 9 yuan ($1.35), along with whatever the food cost. Read more for a video (mandarin) and additional information. “Once the provider of the service and the buyer agree, the provider is required to film themselves going to the restaurant, buy the specified treat and eat it on camera while providing a vivid description of the taste. Some clients even require a short written review and the activation of the stream timestamp to be sure that the person they hired actually does what they are supposed to,” reports Oddity Central.